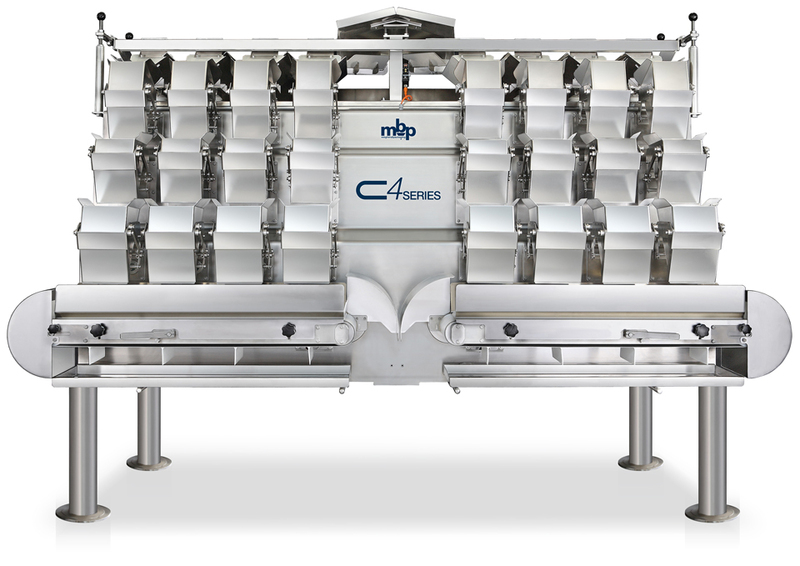 MBP Multihead Weighers presents the new range of Series C4 multihead weighers, which are successfully launching the company into the high speed precision weighing sector for fragile and delicate products. 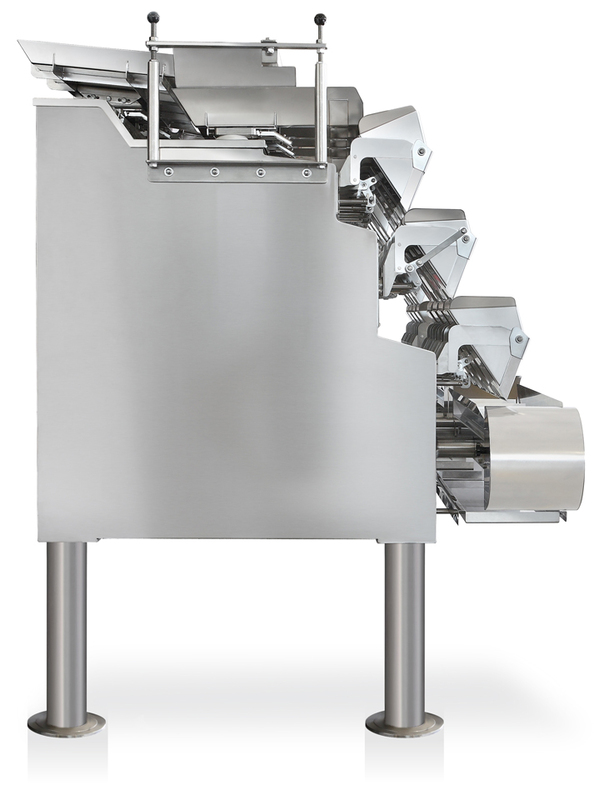 Unlike traditional multihead weighers, the Series C4 has parallel weighing channels fed perfectly by two vibrating loading plates. The same criteria is applied to combine the weights as used on traditional multihead weighers, while the absence of chutes for the products to drop down prevents fragile products from being damaged. Two removable belts, which can be cleaned and disinfected, collect the products discharged from the weighing buckets and convey them to the centre of the weigher, where they can be joined directly to a vertical packaging machine forming tube or multiple phaser, which then feeds a thermoforming or thermosealing machine. The drop height is effectively reduced to a minimum ensuring that delicate products receive special treatment. The AISI 304 stainless steel structure and mechanical finishes with IP66 protection rating means the machines can be washed down using pressurised water jets. The frame features rounded corners ensuring there are no inaccessible areas, thereby preventing undesirable bug traps. The Series C4 is available in a range of different versions while the number of buckets varies depending on the speed/accuracy required. The 6-head version with memory cells achieves 70 weighings a minute. Multihead Weigher MBP C4 Series.